Freestyler, skater, thrill-seeker? 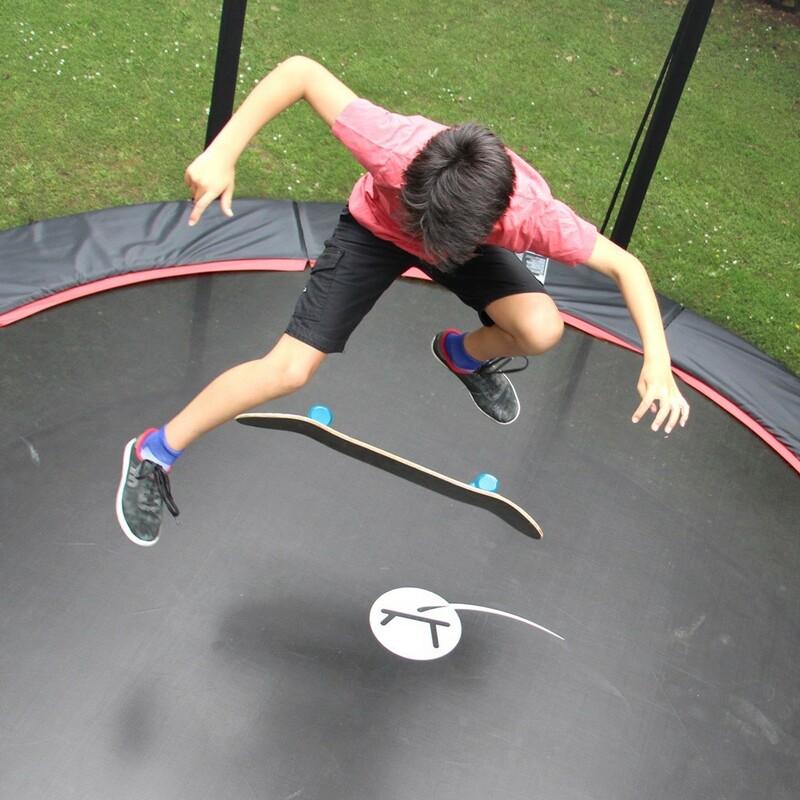 Use our new skateboard on your trampoline! It has everything a real skateboard has except the special trucks designed to jump on a trampoline. - Deck made from 7-ply Canadian maple wood, a wood that is time proof! Its design is deliberately refined with a natural colour. - Medium concave allowing you to perform tricks. - Ideal for an intermediate level, practicing on a trampoline will allow you to train easily, to try complicated tricks and avoid injuries. Tony Hawk watch out! - We do not recommend using the Tramposkate on hard surfaces to avoid damaging the board and your jumping mat. - The board is sold with air trucks and a trampoline grip. 82 x 22 x 5 cm / 2kg.